← The Springfield Job Is Live! Make Heisters Plan Heists- x4. 4hrs. Earns Event Currency. Send Crooks to Other Springfields- x3. What are your initial thoughts on the Springfield Job? Thoughts on the dialogue so far? Prizes? Any items you’ve purchased? Sound off in the comments below, you know we love hearing from you! 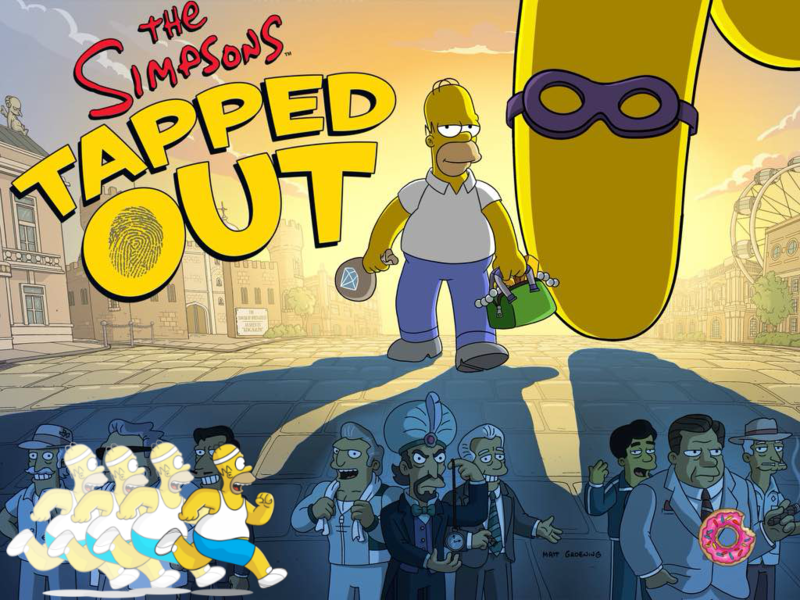 This entry was posted in Tapped Out, Tips and Tricks, Updates and tagged how do I earn more event currency Springfield job, how do i unlock crafting springfield job, How do i unlock neighbor actions in Springfield Job, Springfield Job Act 1 questline, Tapped Out Tips and Tricks, The Simpsons Tapped Out, TSTO Addicts, TSTO Around the World 2, TSTO Heist Event, TSTO Springfield Job Event, TSTO Tips and Tricks. Bookmark the permalink. I tap on brown house to start heist. I tap on purple button. Nothing happens. How do I start heist? I’m soooo close to being done with act one. The last thing I have to do is place a grand canal so I bought the grand canal and whenever I try to place it, the game freezes. HI there I’m having troube building the museum of fine arts and using the free land token. I have the item unlocked , however I never got a pop up saying it was unlocked or was given an opurtunity to build it. It’s not in my building tab either! Do you know how I can build it? I don’t understand how to reach the 1% bonus for Springfield part 6. It says to hold and then spread out, then I don’t know what to do at that point. Please watch the video at the bottom of my Friday filler post. I think EA missed a golden opportunity to make longterm players happier in this event. Sometime back; Was it Tapball event? The Radio station produced game revenue when you set it to the sports channel. Wouldn’t it have been great to have an International music channel added to the radio station; & Worldwide news channel to the the TV station? & best of all a Dusk Til Dawn International film festival at the drive in? I’ve always wanted a longer than 3 hour task for the drive in & this would have been a great time to introduce a 24 hour one! Australia has a dedicated International free to air TV station & many radio stations broadcast in languages other than English. Is unlocking the heist scenes necessary? That is, must they be completed to progress in the event or do they give a reward of event currency after playing? Don’t want to waste precious plunder on the cheese truck if I don’t have to. No, you don’t. Primo (the character) is a prize in the Act 1 series, but the heist scene is separate from the prize track and is unlocked by also crafting the gondola, Da Vinci aircraft, and cheese truck. You do need to craft the gondola for the quest line, but (so far, at least) not the other two items. My question was whether it is advantageous to craft the Da Vinci aircraft and cheese truck just to unlock the heist scene if you do not want these items. OK…apples and oranges. The final task is “Unlock Act 1 Finale” which requires you to have all of the stuff…truck, gondola, flying machine, and the character…hence the blacked out silhouettes and check boxes. The simple fact is…you don’t have to do ANY of it. But, you won’t complete the Act…which is what was being asked. The question you ask is moot…as the can’t get the scene without placing all of the items. So, “advantageous” is kind of relative. Just a quick tip, it looks like you can’t place the Grand Canal buildings (or at least number (1)) on boardwalk, it needs to be put on grass. Not liking events these days. This has better prizes than the “trash event,” but still requires placing decorations in proximity to the event buildings (where I don’t want them). Seriously, why would I want my museum surrounded by those little houses? Sure, I could move them after the event. In the meantime, it looks tacky. This game has gotten almost unplayable for me. I guess the Nvidia k1tablet just isn’t good enough to play this game.